The Czech Republic’s president has heavily criticized the EU’s failure to deal with a record number of migrants crossing its borders, rejecting the initiative to station some 1,500 border guards as “laughable” and calling for at least a thousand troops from each EU state. 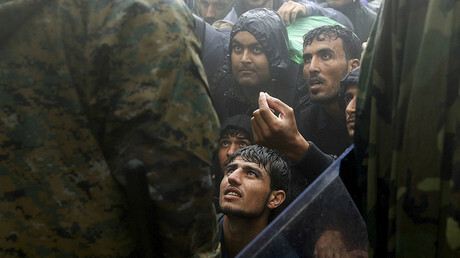 In December 2015, the European Commission proposed the establishing of a European Border and Coast Guard of at least 1,500 members to strengthen EU external border control, aimed at preventing the uncontrolled flow of migrants into the bloc. 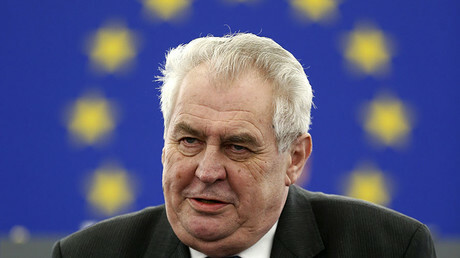 While the EC proposal is still under discussion and needs the approval of the European Parliament and European Council before it takes effect, the Czech leader Milos Zeman could not spare himself but to call the proposal a joke, arguing that the EU borders could never be sealed with such a low number of watchdogs. Such as small “operetta army” will not solve the crisis, Zeman said in an interview with Czech's Pravo daily. “The proposal on the establishment of a common European Border Guard with 1,500 people, including women, I believe is simply laughable,” Zeman said. Instead he proposed that each member contribute at least a thousand troops to make the European Border and Coast Guard comprise some 28,000 soldiers. “When you take the military capabilities of the EU member states, and if each of them supplied a thousand men, which is not many, you have 28,000 men as border guards, and that is the force with which we can operate,” the Czech president pointed out. Furthermore, the creation of a stronger and much larger military contingent cannot wait up to six months while the measures are being debated in Brussels and elsewhere, as a further 500,000 migrants might cross the EU’s borders over that time, Zeman argued. In fact, he reiterated his earlier calls, for the need to create an EU-wide army, not just border patrol force, that will help the union secure its borders and deal with other security threats. At least, the EU should opt for creation of a “joint command of NATO [in Europe], as it [NATO] did in Afghanistan and a number of other countries,” Zeman argued. But instead of introducing proper mechanisms to deal with the refugees crisis, the EU has failed to act, even though proper warnings of migrant influx were coming in well ahead of the current crisis, the Czech president said. The President argued that a better cooperation of the army and police is needed to secure Czech borders. Zeman also suggested using drones and electronic detention facilities. Another mistake, the EU has made, according to Zeman is to ask Turkey for help to secure EU's external borders by offering Ankara a €3 billion ($3.24bn) deal. “There is such a nice Czech proverb that says 'we close the barn door only after the cow has escaped,’” said the president, adding that it is a “matter of time” until the immigration wave floods the Czech Republic. According to the latest poll by the country’s Public Opinion Research Centre (CVVM) only two percent of those surveyed say that refugees should be allowed to settle in the Czech Republic. 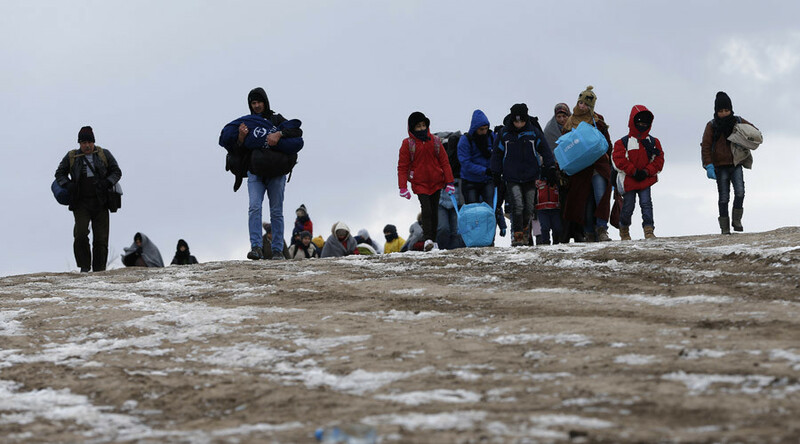 Some 60 percent of Czech citizens oppose absorbing any refugees from war zones. Only a third agree for their temporary admission until they could return to their home countries.